The EIH(Director: Professor Song Ki-Jeong) has been established as a research institute at Ewha Womans University to overcome the crisis of the humanities and deal with the changes in knowledge, technology, and culture in the 21st century. It is developing itself into a hub for devising a new paradigm to guide the humanities in line with Ewha’s tradition of excellence in the humanities. The EIH has worked on the Humanities Korea (HK) Project under the heading “Trans-Humanities: Reimagining and Reconstructing the Human Sciences” supported by the National Research Foundation of Korea since 2007. In the first phase of the project, we conducted research on transcultural experiences to ascertain the potential of Trans-Humanities. In the second phase, we sought to systemize the methodologies for studying transcultural phenomena and glocal knowledge. Currently, in the third phase of the HK Project, our research is focused on posthumanism and the trans-boundary knowledge with the aim of devising a new paradigm for humanities research on human beings and knowledge. The penetration of digital technology into our lives in the 21st century is changing the structure of temporal and spatial experiences and sensory modalities, and bio-technological advances are blurring the traditional boundaries between human and animal, mind and body, organism and machinery, and the material and the immaterial. The Posthumanism Team is trying to respond to the challenges presented by rapid technological changes to the existing understanding of what being human means. Taking a critical standpoint against both naive optimism over technological advances and anti-scientific metaphysics, the team seeks to newly conceptualize and theorize the human in terms of three categories – human identity, embodiment, and the senses with respect to media – thus rewriting the modern humanistic understanding of human beings. The Trans-Boundary Knowledge Team focuses on the formation and current state of modern knowledge, particularly on the process of knowledge formation and the unique intellectual identity of East Asia. Major themes of research include the intellectual landscape of modern times in Korea, China, and Japan in the context of East Asia and the restructuring of humanistic knowledge within the global-local paradigm. By marking out discourses of knowledge, carriers of knowledge, and exchanges of knowledge as particular areas of research, the team tries to examine the topography of the past, present, and future of Korean humanities knowledge in multidimensional ways. Our academic activities have a two-fold objective: laying the groundwork for joint research and setting the Trans-Humanities agenda. In order to share interdisciplinary knowledge and develop a new paradigm, we regularly hold Trans-Humanities colloquia. The colloquia serve as an arena for discussion and exchange between scholars inside and outside the institute on trans-boundary issues such as “body image and convergence of the senses,” “digital media and posthumanism,”and “knowledge formation in modern times and knowledge discourses in East Asia.” As an opportunity to share and discuss the findings of each research team, they have also facilitated scholarly communication among our members. The EIH holds academic conferences with specific themes each year. These conferences offer the institute an opportunity to share its research findings with renowned scholars at home and abroad, thus widening the horizon of humanities research and creating an international knowledge network with leading thinkers like Homi Bhabha (Harvard University), Robert J. C. Young (New York University), Julian Savulescu (Oxford University), Yoichi Komori (Tokyo University), and Isabelle Moindrot (Université Paris VIII). Conferences titled “Human and Machine: Posthumanism in Technology, Culture, and the Arts,” “Cultural Hybridity and Migrating Identities,” and “Re-Translate Knowledge” have clearly demonstrated the significance of understanding knowledge formation and human beings in the 21st century. The EIH is developing into a network hub of humanities research by creating consistent and mutually beneficial partnerships with globally-renowned research institutions. The EIH has been actively engaged in international exchanges that begin with MOU agreements and then lead to joint research, consistent cooperation, and eventually publication of joint research findings. To promote long-term relationships, the institute takes care to select partner research centers with common interests and holds joint conferences with a variety of forms and on a range of scales. 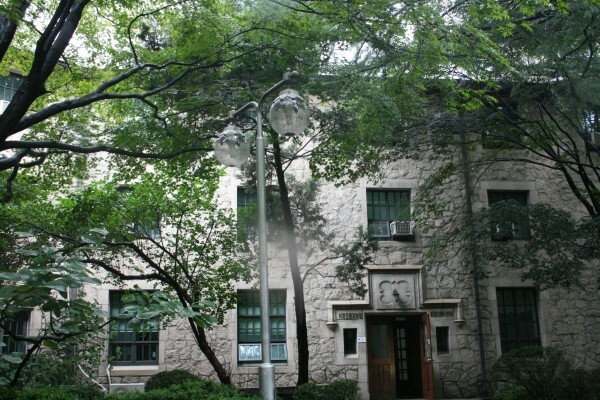 Université Paris-Est, Université Paris VIII, Fudan University of China, and the Beyond Humanism Network are among the thirty partners involved in joint research, joint conferences, and co-authored publications with the EIH.